Last week we looked at the first five colonies to produce state constitutions. Today we will continue that look at the remaining colonies, beginning with Pennsylvania and continuing on in the order in which states adopted their first constitution. So far, the colonies we reviewed followed a similar pattern. A royal governor refused to let the legislature meet to discuss issues, typically the flashpoint being appointment of delegates to the First Continental Congress in 1774. The local patriots would get in a snit about this and form their own quasi-legislature to get work done. Over the next two years or so, the royal government would become increasingly irrelevant until the provincial government took over and formed its new constitution. That pattern generally continues through each colony. Pennsylvania followed a similar path, but with a slightly different dynamic. As a proprietary colony, Pennsylvania did not have a royal governor. Way back in 1691 King Charles II had granted Pennsylvania to William Penn as his personal property. 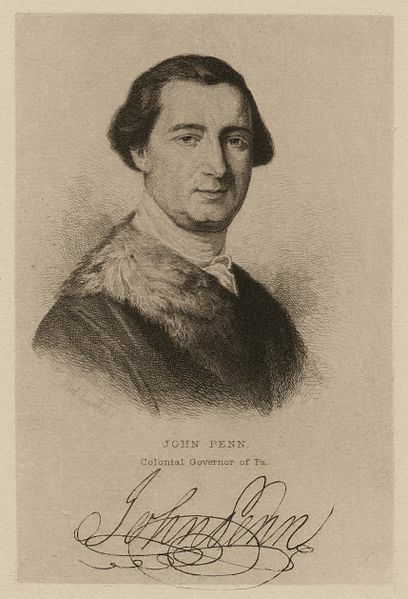 Penn ruled as governor until his death in 1718, at which time he willed Pennsylvania to his three sons. By 1775 Pennsylvania passed to William’s grandson John Penn, with his cousin, also named John Penn holding a minority 25% stake in the colony. Because the proprietors were not royal appointees, they did not have to worry much about the King replacing them for their policies. Sure, the King could tear up the colonial charter if things got too out of hand, but the Penns were not just political appointees. They literally owned the colony. At the same time, Governor Penn did not have to listen to the people or face reelection. He would remain governor until death, unless of course there was some sort of revolution that overthrew the entire political structure by force. Pennsylvania also had a legislature dominated by Quakers and other pacifists. These groups opposed armed revolution on religious grounds. Even though Quakers had become minority of the colonial population, they retained control of the legislature, mostly because legislative districts were not evenly divided based on population, and greatly benefitted Quaker communities in and around Philadelphia. In 1774, it came time to pick delegates for the First Continental Congress. When Governor Penn dragged his feet on the issue, local patriot committees, known as Associators, voted to meet as a provincial committee in July 1774. They met for the purpose of choosing delegates to the Continental Congress, choosing a mix of conservative and radical delegates, reflecting divisions within the colony. That fall, voters sent a more radical group of representatives to the Assembly, but the radical committees still operated separately from the colonial Assembly. After Lexington, the Associators converted themselves into militias ready to go to war. The Assembly, still full of moderates, gave them quasi-legal status under a Committee of Safety which helped finance and regulate the new radical militias. These moves made for incremental reform. In 1775 and early 1776, the Quakers as a group began to remove themselves from politics, not wanting to be attacked as Tories, but also not wanting to support a war. Radicals took their places in government, shifting the colony radically to the left. In May 1776, the Second Continental Congress encouraged all colonies, who had not already, to set up Provincial Congresses if the traditional legislatures were not meeting the needs of the public. The radicals in Pennsylvania took this opportunity to call for a Provincial Congress in June. Only people approved by Associator committees could vote for delegates and one of the conditions was that voters had to repudiate formally any allegiance to the King. Therefore any moderates and conservatives could not vote. The radical Committee of 100 pressured the Pennsylvania Assembly to withdraw its instructions to Pennsylvania delegates to the Continental Congress to reject independence. The Assembly continued to assert power. It did withdraw its instructions, but did not instruct to vote for independence either. The delegates were left to do whatever they wanted. The internal fighting in the Assembly became such a problem that they stopped meeting entirely by August. The radical convention in July set about creating a new constitution for Pennsylvania, but also began to engage in a series of rather radical power grabs. They disarmed any Pennsylvanians who had not joined the Associators. They implemented price controls, created offenses against the State, compelled citizens to take loyalty oaths, and assumed control of the courts and elections. The new constitution, which took effect in September 1776 was the first written after the Declaration of Independence and was by far the most radical of all the colonies. First, it granted the vote to all free men 21 or older. It eliminated any property requirements, thus allowing the rabble to choose legislators. It also created a single body legislature to make all laws. There would be no upper house, though the people would elect an executive council, that would run the government. The Assembly and Council would elect a president annually to serve as the head of the Council. But the president had no independent authority outside of the council. There was no single chief executive. The constitution set term limits for legislators. They could serve no more than four out of every seven years. Legislators also could not pass laws in a single session, except in emergencies. Legislatures would have to publish a law, then wait until after the next annual election before they could enact it. It also required that all legislators take a religious oath: “I do believe in one God, the creator and governor of the universe, the rewarder of the good and the punisher of the wicked. And I do acknowledge the Scriptures of the Old and New Testament to be given by Divine inspiration.” This permitted the seating of member of just about any Christian sect, but not beyond that. A bill of rights that guaranteed freedom of worship, and protected the civil rights of all who acknowledged some belief in God. It also protected the right of pacifists not to be forced to bear arms, though they might be required to pay the State some compensation if they did not heed a call to arms. It guaranteed basic due process, right to counsel, to confront witness, to have a speedy jury trial, and a right against self-incrimination. It also granted jury trials in civil suits. The new Constitution would remain in place until 1790. The royal colony of Maryland followed the most common pattern. The royal governor shut down the legislature in 1774. Patriots created their own quasi legislature known as the Annapolis Convention to run the colony. The Convention met nine times over the next two and a half years, selecting delegates to the Continental Congress, supporting trade restrictions in early sessions. After Lexington, delegates voted to create their own army. They also began calling themselves the Association of Freemen. In July 1776 they agreed to create their own Constitution, which they did at a Convention that fall. They completed their work in November. Again, the constitution took effect without any ratification by public vote. The Constitution itself was pretty traditional. It created a House and Senate as well as a governor elected by both houses. Voters elected their representatives directly each year but voted for electors who would choose senators every five years. Property requirements limited voting, though free blacks who met those requirements could vote. Only Christians, though of any sect, could hold office. A declaration of rights included freedom of speech and press, freedom of worship, the right to maintain a militia, and basic due process rights. The Maryland Constitution remained in place until 1851, though it saw numerous amendments. The constitution allowed the legislature to pass amendments, as long as they passed through two different sessions. One of the early amendments took away the right of free blacks to vote in 1809. North Carolina followed the traditional colonial route to statehood and created a pretty traditional constitution. 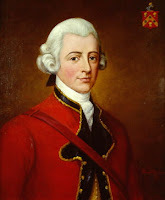 The Royal Governor refused to call the Assembly into session in 1774 because he knew they would cause trouble. 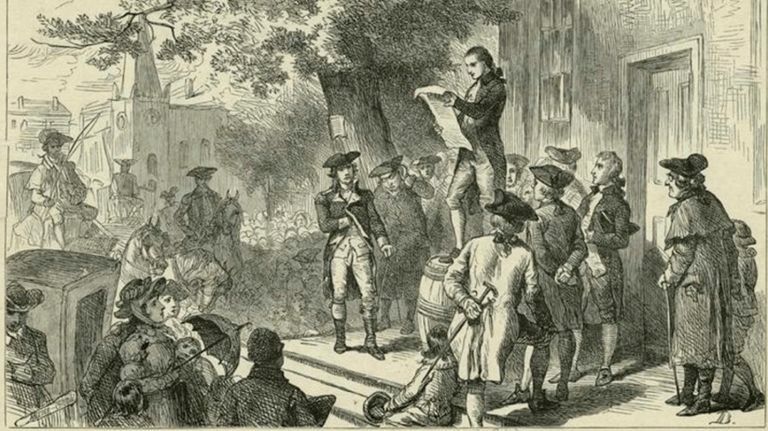 Patriots formed a Provincial Congress which met in August to choose delegates to the First Continental Congress and to support colonial boycotts. The Provincial Congress met five times over the next two and a half years, each time getting more aggressive and eventually creating its own army. The Provincial Congress began work on a temporary constitution in April, but never could pull the trigger on enacting it. It was not until October 1776 that the people elected a more radical group of delegates who enacted the new constitution. The Congress declared the constitution in force as of December, without any sort of popular ratification. 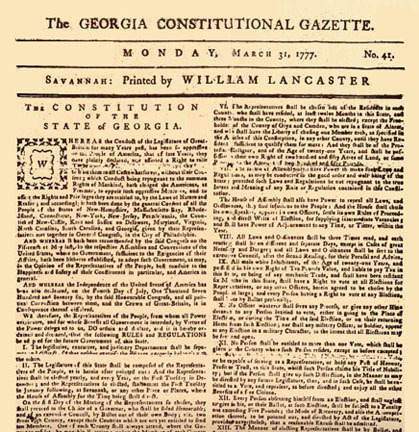 Like most other colonies, North Carolina's constitution began with a declaration of rights, guaranteeing the right of the people to create their government and elect representatives, separation of powers, due process, protection from warrantless searches, freedom of the press, right to bear arms, the right of assembly, the freedom of worship, and others. The Constitution divided the legislature into a House and Senate, both subject to annual elections. To vote or hold office one had to be a freeman and own a certain amount of land. Voters also had to be at least 21 years old. The legislature held the power to appoint judges and other court officers, as well as generals and field offices of the state’s army and militia. The legislature also elected a governor for one year terms, and limited to serve no more than three out of six years. The legislature also elected a seven person Council of State to advise the Governor. The Constitution banned clergyman from serving in the legislature or Council of State. It also mandated that “no person, who shall deny the being of God or the truth of the Protestant religion, or the divine authority either of the Old or New Testaments, or who shall hold religious principles incompatible with the freedom and safety of the State, shall be capable of holding any office or place of trust or profit in the civil department within this State.” It also barred the establishing of any specific state church or denomination. The Constitution also banned debtors prison, established a public school system, allowed foreigners to become citizens after one year, and barred the private purchase of Indian lands. 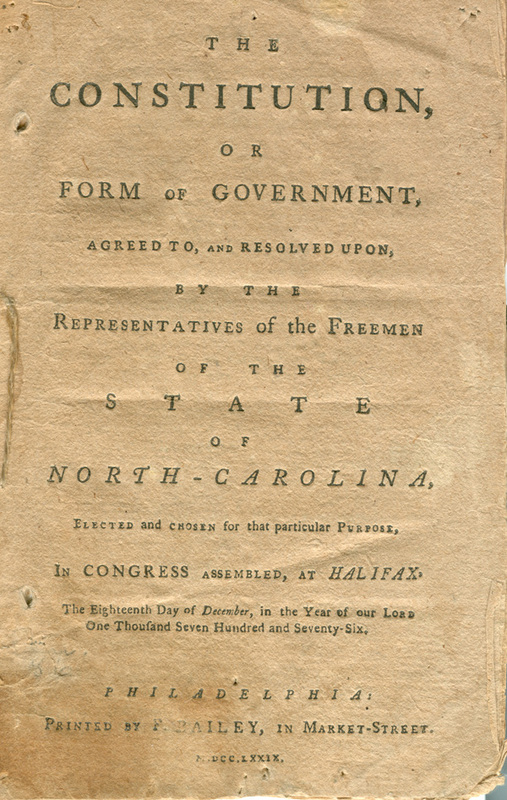 North Carolina’s Constitution remained in place until an 1835 constitutional convention made numerous amendments, including the direct election of the Governor. Georgia was one of the last colonies to jump on the patriot bandwagon. It did not send delegates to the First Continental Congress in 1774. When a provincial congress met in January 1775 to decide whether to send a delegation to the Second Continental Congress, they could not agree to a delegation. Following Lexington, Georgia patriots began organizing militarily and seized colonial gunpowder. A second provincial congress met in July 1775. It finally approved a delegation to the Continental Congress, and set up a standing Council of Safety to enforce colonial trade bans with Britain. By the end of 1775, the Provincial Congress had control of most of the colony, forcing the Royal Governor to flee in January 1776. In May 1776, the Congress drafted a rudimentary constitution, simply called “Rules and Regulations” which created a President and Council of Safety selected by the unelected Provincial Congress, to run the colony. It also appointed a Supreme Court and gave the President authority to appoint lower magistrates. At the same time, the Provincial Congress began work on a more permanent constitution, which it enacted in February 1777. The new constitution created a unicameral legislature, meaning it was not divided into two houses. The people elected legislators annually, with the vote limited to free white males with property. The legislators would then select a governor and council from among its own members. The Governor could only serve for one term out of three. 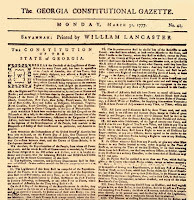 The Georgia Constitution lasted only twelve years, until the State created a new one based more closely on the then newly adopted US Constitution. New York’s Tory population contributed to the colony’s slow trajectory toward independence and statehood. The Royal Assembly had sent delegates to the First Continental Congress in 1774, thinking it would slow down radical call for boycotts against Britain. When that backfired, the Assembly rejected the Congress’ recommendations and refused to send delegates to the Second Continental Congress in 1775. 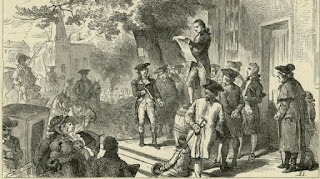 The New York radicals then held a provincial convention in New York City in April 1775 to choose their own delegates to the Continental Congress. The convention lasted only three days to select delegates. It did not attempt to govern the colony. The radicals only created a Provincial Congress after Lexington, when they met in May to begin organizing militia and taking control of the colony’s weaponry. Otherwise, the Congress was quite moderate. It instructed its delegates at the Continental Congress to seek an accommodation with Britain, and opposed the patriot invasion of Canada. A second Provincial Congress, which met from December 1775 until May 1776 fought with General Charles Lee, whom Washington had sent to organize New York for a possible invasion. A third Congress which met in May and June of 1776 instructed its Continental Congress delegates to oppose independence. Finally in July 1776 the Provincial Congress convened in White Plains to create a state constitution. It also allowed its delegates to support independence belatedly at the Continental Congress. In August, the Congress tasked a committee to write a constitution, but after the British Army invaded New York, the task of drafting a constitution got delayed. The finished draft did not arrive until March 12, 1777. The Provincial Congress approved the Constitution without a popular vote. It went into effect in April. The New York Constitution differed from earlier state constitutions. It started off with its own declaration of independence, which quoted liberally from the Continental Congress’ declaration. It created a legislature divided into an Assembly and Senate. Assemblymen served one year terms. Senators served four year terms. It limited the right to vote to adult male property owners. Unlike most other constitutions, New York created a governor elected by the people rather than the legislature. He would also serve a three year term. The Governor had power to revise laws passed by the legislature and to end a legislative session. He appointed judges and other government officials, without even approval from the legislature. In other words, New York would have a strong executive, not easily under the legislature’s control. Instead, a Provincial Congress ran Massachusetts for six years, from 1774 when Governor Gage shut down the Assembly, until 1780 when it finally adopted a new constitution. During that time, the Provincial Congress pretty much operated like the old colonial assembly, except it did not bother to seek the approval of the Governor for anything. The state did try to enact a constitution in 1778. It was the first state to submit its proposed constitution to the people, and the people rejected it. In 1779, it held another convention and once again submitted it to the people who this time approved it. The Constitution finally became effective in October 1780. Since this was so much later than the other colonies, I’m not going to spend a lot of time on its details now. But it is the only constitution to remain in effect to this day, never having been replaced. I’ve yet to mention Connecticut and Rhode Island constitutions. That is because they never created ones in this era. Connecticut did not write a constitution until 1818. Rhode Island waited until 1843. Not coincidentally, these were also the only two colonies that had elected governors during the colonial era. As a result, the voters happily operated under their colonial charters, even after they became independent states. They had no interference from Britain in the administration of their government. Now I know going through every State is a lengthy and sometimes repetitive process. But I think these first attempts at self-government say a great deal about what the people, or at least the patriot leaders in each state, wanted. Most of the colonies kept government structures largely similar to what they had in the colonial era. The biggest change for most was giving more authority to the legislature and having a relatively weak chief executive who would be dependent on the legislature, not the other way around. Most made an effort to create a bill of rights, in an attempt to identify and protect the rights which had forced them to seek independence from Britain. These Constitutions typically were not about making major social, economic, or political changes. They largely kept the existing systems intact, other than removing the authority of the King over its government. They moved that sovereign authority to the people, but did not give the people much direct control over the government. Few extended the right to vote beyond those who already had it under the colonial system. Those that did often took back those rights within a few years. None of the Constitutions ended slavery. The Massachusetts Constitution did not explicitly ban slavery, though the State Supreme Court interpreted it to end slavery three years after its enactment. Overall, the framers of these constitutions did not want to reinvent the system. They wanted to make sure the system under which they had always thrived before the recent troubles remained largely the same. They did not want the King or Parliament to start eroding the power they had enjoyed as neglected colonies. But neither they largely did not want to share power with the poor, women, native Americans, or blacks. Even though the republican ideals on which the constitutions were based led to the intellectual conclusion that they should expand power to the whole people, it would take generations for the government structure to live up to that ideal. Next Week: We return to New York, where Gen. Washington has to deal, not only with an impending invasion, but with Tory conspirators plotting his murder. Homans, George C. “John Adams and the Constitution of Massachusetts.” Proceedings of the American Philosophical Society, vol. 125, no. 4, 1981, pp. 286–291. http://www.jstor.org/stable/986331 (free to read online with registration). Proceedings of the conventions of the province of Maryland, held at the city of Annapolis, in 1774, 1775, & 1776, J. Lucas & E. K. Deaver; Annapolis, J. Green, 1836. Candler, Allen (ed) The Revolutionary Records of the State of Georgia, Vol. 1, Franklin-Turner Company, 1908. Frothingham, Louis Adams, A Brief History of the Constitution and Government of Massachusetts, Harvard Univ., 1916. Lincoln, Charles Z. The Constitutional History of New York from the Beginning of the Colonial Period to the Year 1905: showing the origin, development, and judicial construction of the constitution, Vol. 1, The Lawyers Cooperative Publishing Co., 1906. Nash, Frank The North Carolina Constitution of 1776 and its Makers, Univ. of North Carolina, 1912. Schouler, James, Constitutional Studies, State and Federal, Dodd, Mead & Co., 1897. Thorpe, Francis Newton The Federal and State Constitutions, Colonial Charters, and Other Organic Laws of the State, Territories, and Colonies Now or Heretofore Forming the United States of America, Comp. and Ed. under the Act of Congress of June 30, 1906. (Vol 1-7) Govt. Print. Off, 1909. Adams, Willi Paul The First American Constitutions: Republican Ideology and the Making of the State Constitutions in the Revolutionary Era, Rowman & Littlefield, 2001. Fleming, Thomas 1776: Year of Illusions, W.W. Norton & Co., 1975. Tarr, G. Allen Understanding State Constitutions, Princeton Univ. Press, 1998 (book recommendation of the week). Ryerson, Richard Alan The Revolution Is Now Begun: The Radical Committees of Philadelphia, 1765-1776, Univ. of Pennsylvania Press, 1978. Prior to July 1776, none of the colonies had declared full and permanent independence from Britain. But most were not operating under their old royal charters either. Provincial Congresses operated in the colonies, but under what authority and how they should be structured all seemed to be open questions. Many colonies still had royal governors attempting to rule either just off shore in a navy ship, or in some cases still within the colony. I think it useful to see how and when each colony made the move to an establish an independent government. Local politicians developed their own new constitutions to create a structure for their state government, at least until the violence ended and British rule was restored under acceptable terms. Even before independence though, most of these new constitutions were written with an eye toward setting up what would likely become permanent independent governments. In case you are wondering, I’m looking at each colony in order of when they first implemented their own Constitution. 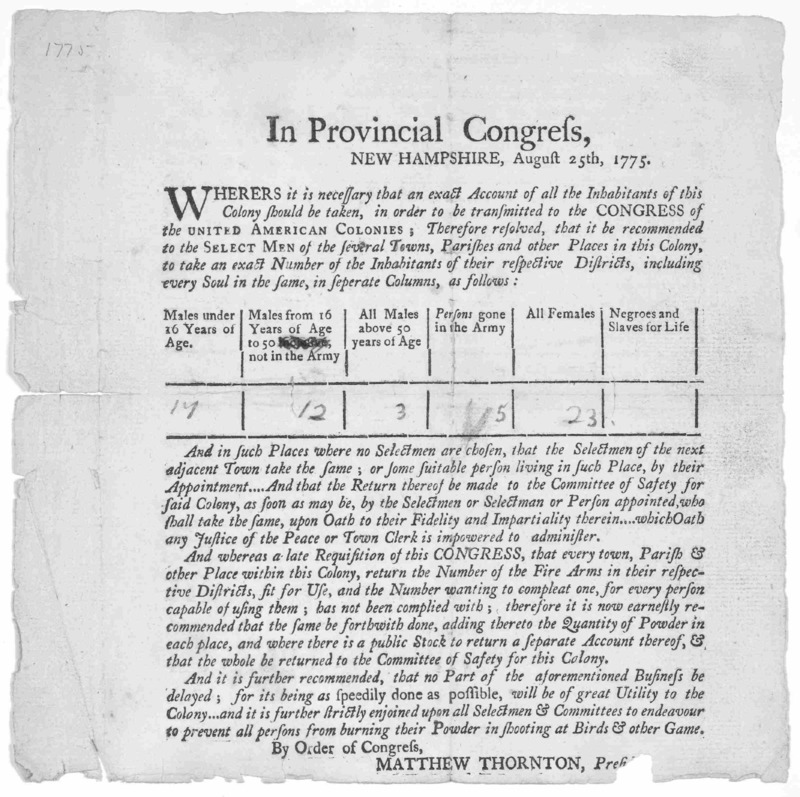 New Hampshire was one of the first colonies to move to a Provincial Congress and the first to adopt a constitution. 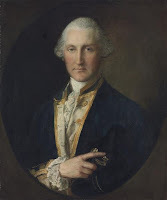 When Royal Governor Wentworth dissolved the Royal Assembly in June 1774, the members simply continued to meet and discussed forming a convention. The Governor and Sheriff had to go down to the legislature and kick them out of the hall. The legislators met again in Exeter the following month to form the First Provincial Congress. That would be the first of five provincial congresses to meet over the next year and a half to deal with issues on an occasional basis. The first few meetings simply seemed to be members of the old royal assembly continuing to meet without the Governor's authority. But local town meetings eventually began selecting representatives to attend later provincial congresses. By late 1775, patriot leaders had decided they needed some more regular form of government that did not include the Royal Governor. The fifth Provincial Congress met in Exeter to create a new constitution, which it adopted in January 1776. They did not submit it to the people for a vote. They simply implemented it on their own. The new constitution established a bicameral legislature, just like under royal government. It created a House of Representatives and a council. The Provincial Congress became the House, which then appointed 12 men to form the Council. After one year, New Hampshire would hold elections for both the House and Council. It did not create any court system or Chief executive. This constitution would remain in place until after the end of the war. South Carolina was another early state to move to self-government. The Royal Colonial Governor already had quit the colony in 1773. The colony would not receive his replacement William Campbell until 1775. Lt. Gov. William Bull served as acting governor, but did very little to govern. He would not call the assembly into session for fear they would do something treasonous. In July 1774, leading colonists, simply got together to decide what to do. They had no elections or any formal appointment. Interested leading citizens of the colony met among themselves to choose delegates to the First Continental Congress and to create the “Committee of 99” to run the colony. Later that year the Committee called for elections to what would become the First Provincial Congress, meeting in January 1775. The Congress met and performed all sorts of government activities, such as raising a colonial army, printing colonial currency, and appointing delegates to the Second Continental Congress. When Governor Campbell arrived in June 1775, he refused to recognize the Provincial Congress and called a Colonial Assembly into session. After seeing that the Assembly was full of patriots too, the Governor soon dissolved that Assembly, but still could not stop the Provincial congress from running the colony. In November 1775, the colony held elections for a Second Provincial Congress. When that Congress met in January 1776, it began drafting a constitution, which took effect in March, again with no popular ratification. In March the Provincial Congress simply dissolved itself, and then reconvened as the First General Assembly of South Carolina - no new elections, the old representatives became representatives in the new Assembly. The Assembly elected a Council to serve as an upper chamber. It also elected a President and Vice President, the first President being John Rutledge. The Assembly also appointed all judges, sheriffs, and other judicial officers. It allowed all property owning males to vote. There was no restriction by race, although I’m not sure if there were any free black men who could meet the property requirements. The 1776 Constitution only remained in place for two years, until the State created a more detailed Constitution in 1778. Virginia chose to govern through a series of conventions. As in other colonies, the Royal Governor Lord Dunmore dissolved the House of Burgesses whenever the colonists voted on anything he considered disloyal to the King and Parliament. Local representative then often met informally to decide what they would do anyway. In August 1774, the representatives met in the First Virginia Convention, allowing counties and boroughs to elect representatives. The First Convention selected delegates to the First Continental Congress and approved a series of trade restrictions to go along with the boycotts of British goods that patriots were pushing all over the continent. The First Convention only lasted six days. The Second Convention met in March 1775, divided between those who still wanted compromise with Parliament, and those ready to go to war. Patrick Henry gave his famous Give me Liberty or Give me Death speech at this convention. The radicals won the debate and passed resolutions to raise volunteer regiments to arm themselves and prepare to defend their rights. The Third Convention met in July 1775, after the battles at Lexington and Bunker Hill. Radicals had only gained in power. Instead of passing resolutions, the Convention now began to pass ordinances that they would enforce with the power of law. It raised two regiments of Virginia Regulars to participate in the defense of their rights. This Convention was focused more on creating a real government for the colony, and lasted over a month. By the time of the Fourth Convention, in December 1775, Governor Dunmore had declared martial law and was in open battle with the Virginia Regulars and militia. The Convention raised an even larger army and created a Committee of Safety to make decisions while the Convention was out of session, an early form of an executive branch. During this Convention, the leaders received word that their army had defeated the Governor at the Battle of Great Bridge, and learned that the Governor had burned Norfolk, events I discussed in more detail back in Episode 77. When the Fifth Convention met in May 1776, independence was clearly on the agenda. The Convention instructed its delegates at the Continental Congress to call for a declaration of independence for all 13 colonies. The Convention also began work on a Declaration of Rights and a new State Constitution. Now the Virginia Declaration of Rights is a pretty important document, so I want to discuss it in detail. 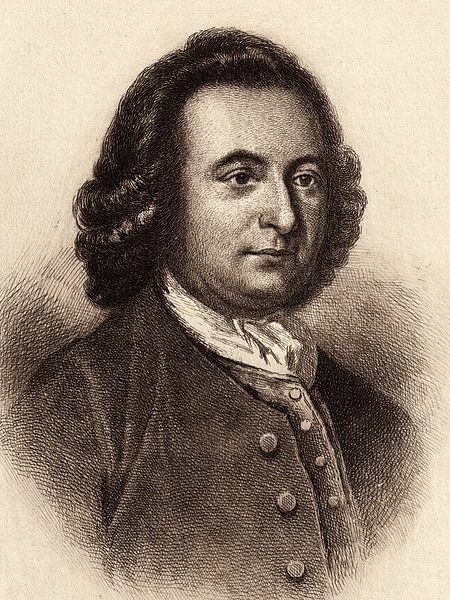 George Mason, primarily authored the what became the Virginia Bill of Rights though it went through weeks of debate at the Convention. We see many of the concepts in the Bill repeated in the Declaration of Independence in July. As well as in the US Bill of Rights more than a decade later. It consisted of 16 points which I think are important enough to read verbatim. 2. That all power is vested in, and consequently derived from the people; that Magistrates are their trustees and servants, and at all times amenable to them. 3. That government is or ought to be, instituted for the common benefit, protection, and security of the people, nation, or community; of all the various modes and forms of government, that is best, which is capable of producing the greatest degree of happiness and safety, and is most effectually secured against the danger of mal-administration; and that when any government shall be found inadequate or contrary to these purposes, a majority of the community hath an indubitable, unalienable, and indefeasible right, to reform, alter, or abolish it, in such manner as shall be judged most conducive to the public weal. 4. That no man, or set of men, are entitled to exclusive or separate emoluments or privileges from the community, but in consideration of public services; which not being descendible, neither ought the offices of Magistrate, Legislator, or Judge to be hereditary. 5. 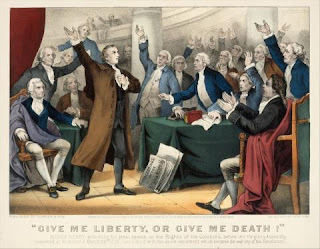 That the Legislative and Executive powers of the State should be separate and distinct from the Judiciary; and that the members of the two first may be restrained from oppression, by feeling and participating the burthens of the people, they should, at fixed periods, be reduced to a private station, return into that body from which they were originally taken, and the vacancies be supplied by frequent, certain, and regular elections, in which all, or any part of the former members, to be again eligible, or ineligible, as the laws shall direct. 6. That elections of members to serve as representatives of the people, in Assembly, ought to be free; and that all men having sufficient evidence of permanent common interest with and attachment to, the community, have the right of suffrage, and cannot be taxed or deprived of their property for public uses without their own consent, or that of their representatives so elected, nor bound by any law to which they have not, in like manner, assented for the public good. 7. That all power of suspending laws, or the execution of laws, by any authority without consent of the representatives of the people, is injurious to their rights and ought not to be exercised. 8. That in all capital or criminal prosecutions a man hath a right to demand the cause and nature of his accusation, to be confronted with the accusers and witnesses, to call for evidence in his favor, and to a speedy trial by an impartial jury of his vicinage, without whose unanimous consent he cannot be found guilty, nor can he be compelled to give evidence against himself; that no man be deprived of his liberty except by the law of the land, or the judgment of his peers. 10. That general warrants, whereby an officer or messenger may be commanded to search suspected places without evidence of a fact committed, or to seize any person or persons not named, or whose offence is not particularly described and supported by evidence, are grievous and oppressive, and ought not to be granted. 11. That in controversies respecting property, and in suits between man and man, the ancient trial by jury is preferable to any other and ought to be held sacred. 13. That a well regulated militia, composed of the body of the people, trained to arms, is the proper, natural, and safe defence of a free state; that standing armies, in time of peace, should be avoided, as dangerous to liberty; and in all cases, the military should be under strict subordination to, and governed by, the civil power. 16. That religion, or the duty which we owe to our Creator, and the manner of discharging it, can be directed only by reason and conviction, not by force or violence, and therefore all men are equally entitled to the free exercise of religion, according to the dictates of conscience; and that it is the mutual duty of all to practise Christian forbearance, love, and charity towards each other. After adopting the Bill of Rights on June 12, the Convention then turned to its Constitution. Now I’m not going to read the whole Constitution here, but it is well worth a read. It begins with a list of abuses by the King, similar to what we see in the Declaration of Independence a few weeks later. It the explicitly states that the Royal Government in Virginia is “totally dissolved” and replaced with this new Constitution. It divides government into three separate powers of legislative, executive, and judicial. It divides the legislative branch into a House and Senate with the House elected as two members from each county, and one representative from the largest boroughs in the state. The Senate would come from 24 special districts created for that purpose. It says right to vote shall remain the same as it was under colonial rule, meaning white male property owners. The legislature chooses the Governor annually, with a term limit of three sequential years. The legislature would also choose judges for most courts and a Privy Council to assist the Governor. The Governor and Privy Council appoint lower officials. In short, the legislature pretty much ran the show, controlling who would serve as Governor and on the courts. The Convention approved the constitution on June 29, and had it go into effect without submitting it to the people for ratification. New Jersey with its relatively strong Tory faction got off to a late start with its Provincial Congress. The Royal Governor and Colonial Assembly stayed in power through December 1775. The New Jersey Provincial Congress had come into being in May 1775 while the Royal legislature still met. Patriot committees in each county sent representatives to a Provincial Congress that met in Trenton. Again, they did not have any legal or electoral authority. These were simply prominent patriots who had the support of local committees. The Congress met in three short sessions in 1775, then a longer session in January-March 1776. The Provincial Congress voted for a tax to pay for a patriot army in the state. Since the Colonial Assembly and Provincial Congress were both operating, they were competing for authority over the people of New Jersey. Even though there remained a strong Tory segment in the population, the Provincials gradually took power. When Governor William Franklin attempted to convene the Assembly in May 1776, the Provincial Congress ordered his arrest and had him shipped to Connecticut. The Assembly never met again. 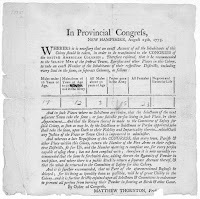 The Provincial Congress met for its final session in June 1776, at which time it produced a constitution in a mere five days and ratified the document two days later. The Congress submitted the Constitution to the Continental Congress for approval and began operation under its terms by the end of August, again without any vote by the people. The Constitution, like those before it, created a two part legislature, an Assembly and Council. Unlike other States, the people would elect the members of both houses, three representative from each county in the Assembly and one from each County to the Council. The legislature selected a governor for a one year term. The legislature would also appoint judges and military officers above the rank of captain. One of the more radical articles allowed voting for all inhabitants with an estate worth at least £50. This included blacks and women who did vote, though few met the property requirement (married women’s property belonged to their husbands). The Constitution also guaranteed freedom of religion and prohibited the establishment of a state religion. Despite the fact that the legislators threw together the Constitution rather quickly, it remained in effect for 65 years, though the right of blacks and women to vote only remained in effect for 30 years before the legislature changed the law and ignored the constitutional guarantee. Delaware was concerned not only about independence from Britain, but also independence from Pennsylvania. Pennsylvania colony considered Delaware to be part of Pennsylvania, though it had allowed Delaware to have its own legislature. Delaware wanted to use this moment to make sure it would be entirely independent of Pennsylvania. Neither Delaware nor Pennsylvania had a royal governor. William Penn and his descendants owned the colony and served as governor without royal appointment or election. Delaware’s elected assembly remained in power throughout the colonial period. It had no need to overthrow a governor or make any fundamental changes to the way its government worked. The elected Assembly took on a patriotic bent as the people of Delaware themselves moved in that direction. Even so, in June 1776, the General Assembly suspended “government under the Crown” which also effectively ended any control from Pennsylvania. After the Declaration of Independence, the Assembly called for a constitutional convention in August with ten representatives from each of the three counties. 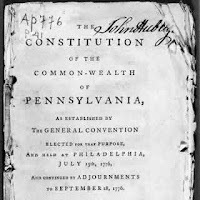 The Convention met on August 27 and had a constitution ready to go into effect by September 20. Again, they saw no need to submit the new constitution to the people for a vote. Under the new Constitution, the government remained similar to what existed in the colonial government. A general assembly would be elected annually by all freeholders (meaning landowners) with seven representatives from each county. They would also elect an executive council with three members from each county serving three year terms. Both houses would elect a president who would serve as chair of the executive council and was term limited to three years. The President would also have a four member Privy Council with two members selected by the Assembly and two by the Legislative Council. The President and General Assembly would jointly elect judges for various courts. The President also sat on a seven person panel (the other appointed by the Assembly and Council) to hear appeals from Supreme Court decision. The Constitution also prohibited the importation of any slaves, the establishment of any state religion, and barred clergy from holding any public office. Resources to learn more about today’s topic. Webster, William C. "Comparative Study of the State Constitutions of the American Revolution"
Minutes of the Provincial Congress and the Council of Safety of the State of New Jersey, 1775-1776 Naar, Day & Naar, 1879. Journal of the Votes & Proceedings of the Convention of New Jersey: begun at Burlington the tenth of June 1776; to which is annexed, sundry ordinances and the Constitution, Joseph Justice, 1831 (Reprint of the 1776 ed., printed and sold by Isaac Collins, Burlington). 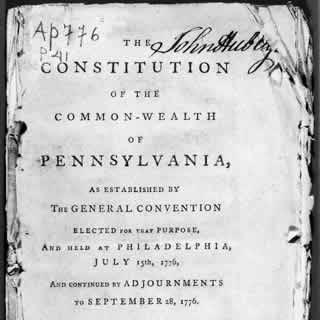 Proceedings Of The Convention Of The Delaware State Held at New-Castle on Tuesday the Twenty-Seventh of August 1776, James Adams, 1776 (reprint Star Publishing, 1927). Dealey, James Q. Growth of American State Constitutions from 1776 to the end of the year 1914, Ginn & Co. 1915. Elmer, Lucius Q.C. The Constitution and Government of the Province and State of New Jersey: with biographical sketches of the governors from 1776 to 1845 and reminiscences of the bench and bar during more than half a century, Martin R. Dennis and Co. 1872. Walker, Joseph New Hampshire's Five Provincial Congresses, July 21, 1774-January 5, 1776, New Hampshire Historical Society, 1905. 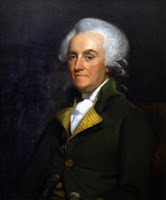 Adams, Willi Paul The First American Constitutions: Republican Ideology and the Making of the State Constitutions in the Revolutionary Era, Rowman & Littlefield, 2001 (book recommendation of the week).